GemologyOnline.com • View topic - Alberto Scarani GG, Live and In Person! Alberto Scarani GG, Live and In Person! Post subject: Alberto Scarani GG, Live and In Person! 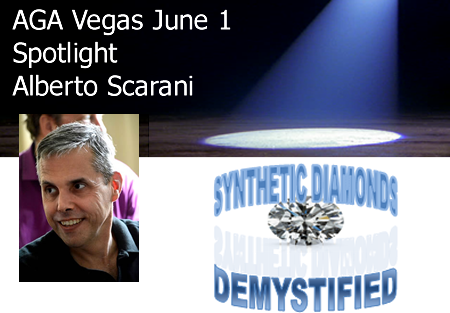 Fluorescence Spectroscopy – A new method of diamond screening and gem analysis will be the focus of Alberto Scarani’s discussion highlighting tabletop equipment he has developed with Mikko Åström for the everyday gemologist. Useful outside of diamond screening, the method has applications for detecting other gems and their treatments. Together with Mikko Åström in 2012, they founded M&A Gemological Instruments, today MAGILABS, a company specialized in manufacturing advanced gemological instruments. 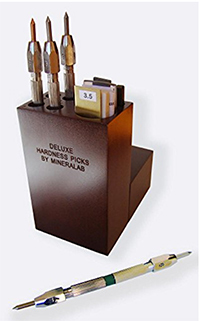 Over the course of 6 years, MAGILABS has developed several techniques specifically designed for gemology, such as Raman,/PL, UV-Vis-NIR, FTIR and Fluorescence spectrometers. Alberto is an appraiser of the Chamber of Commerce and Registered Expert of the Tribunal of Rome, vice-president of the Scientific and member of the Ethic Committees of Assogemme, representative delegate for the development of the bill about gemological materials at the X Commission of the Senate of the Italian Parliament. He is a member of UNI Commission “UNI/CT 010/GL 01 - Gemme e metalli preziosi” on behalf of GEMTECH for the revision of UNI rules about gems and precious metals. A jewelry & gemology author and journalist, he is one of the editors of the Rivista Italiana di Gemmologia (Italian Gemological Review). 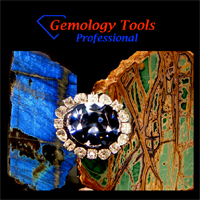 Alberto has been an instructor of the International Gemological Institute (IGI) in Antwerp for courses on precious metals and jewelry manufacturing techniques. He provides yearly seminars on Raman and Photoluminescence spectroscopy at the Rome “La Sapienza” university, aiding their students in mineralogy course studies. 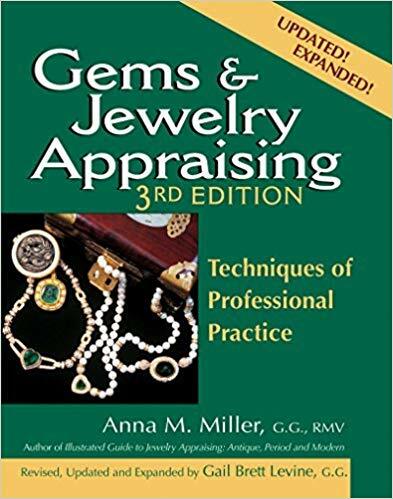 He is a fifth generation goldsmith and has been an co-administrator of Gemology Online, a non-profit educational forum, from 2007 to present day. Conference registration includes great networking opportunities and a hosted happy hour at the conclusion. Post subject: Re: Alberto Scarani GG, Live and In Person! I wish.....no one is available to take care of my dog for that weekend. Julie Kerlin will be going. He showed us some of this at Tucson. It will be WELL worth going. Really cool!!! Hmmm...if he has to be there on June 1st, then he had better get moving! It's a long way to Vegas from the Gulf. Thank you......thank you....I'll be here all week!